Find Your Seat at the Board Table! 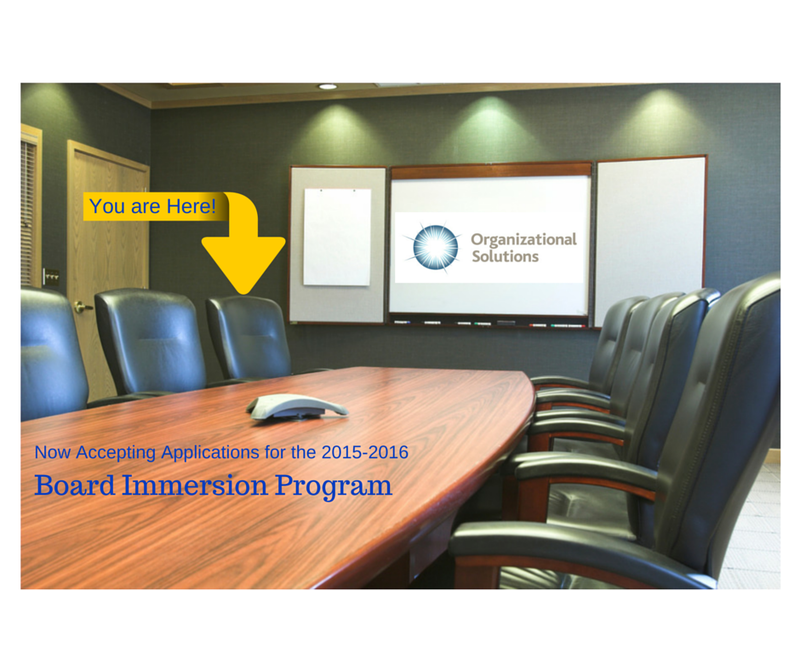 The Board Immersion Program provides an orientation to the responsibilities of board service and connects volunteers to nonprofit organizations seeking new talent, allowing them to “try out” board service without making the commitment to a full board term. Additionally, there may be the potential to officially join a nonprofit board or board committee in the next yearly cycle. Interviews for the program will take place on June 29, July 1 and July 9. *Please note that we are currently accepting applications for placement with The Valentine, Big Brothers Big Sisters, and Make-A-Wish Virginia. Participants with James River Association have already been selected. The Board Immersion Program is an offering from Organizational Solutions – one of the four programs of the Partnership for Nonprofit Excellence, who provides support and tools to Central Virginia nonprofits for efficiency and greater impact. Looking for more ways to get involved in Board Service or Volunteer with a Nonprofit? Looking for ways to get your nonprofit connected with Board or Volunteer Resources? Check out ConnectVA’s Volunteer and Board Resources page! Hello Naila! We have forwarded your e-mail address over to the Organizational Solutions team and they will be reaching out to you. Please provide me with future dates of the next Board Immersion Program. I am extremely interested in this. Hi Andrew! We are forwarding your e-mail address over to the Organizational Solutions team and they will be reaching out to you with information about future dates. Thank you for your interest!